The first part of 2013 is an exciting time for runDisney fans with two months of races at Disney Parks. I recently gave you a look at new Dooney & Bourke and Vinylmation items we created for the Walt Disney World Marathon Weekend presented by Cigna. A few readers asked about additional items for the Tinker Bell Half Marathon at Disneyland Resort in mid-January and Disney’s Princess Half Marathon at Walt Disney World Resort in February. Here is a look at a few popular items that guests will find at the Expos for these events. The Tinker Bell Half Marathon Weekend takes place on January 18-20, 2013, in California. We are releasing two pins for this weekend including a limited release logo pin for the half marathon, and a limited edition pin for the Never Land Family Fun Run 5K. 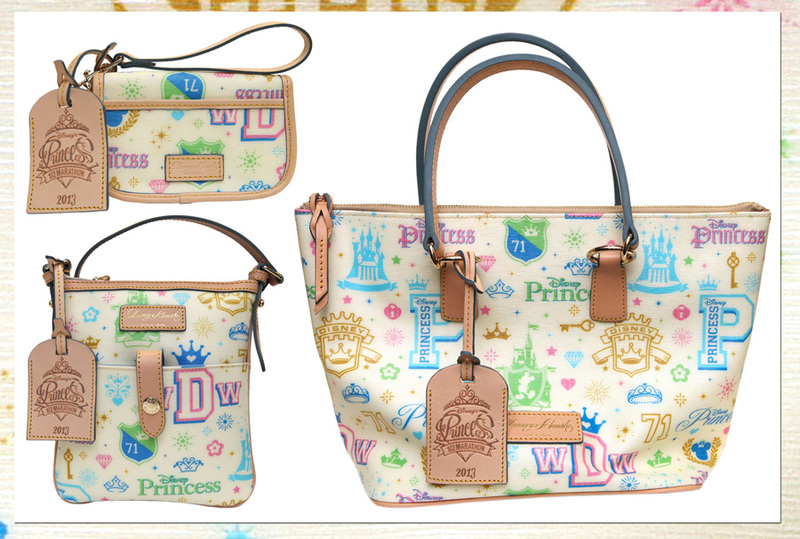 Similar to the Walt Disney World Marathon, there will be three Dooney & Bourke handbags featuring a previously introduced Tinker Bell silhouette pattern. New this year, the team has attached a commemorative leather hangtag for this weekend’s event. 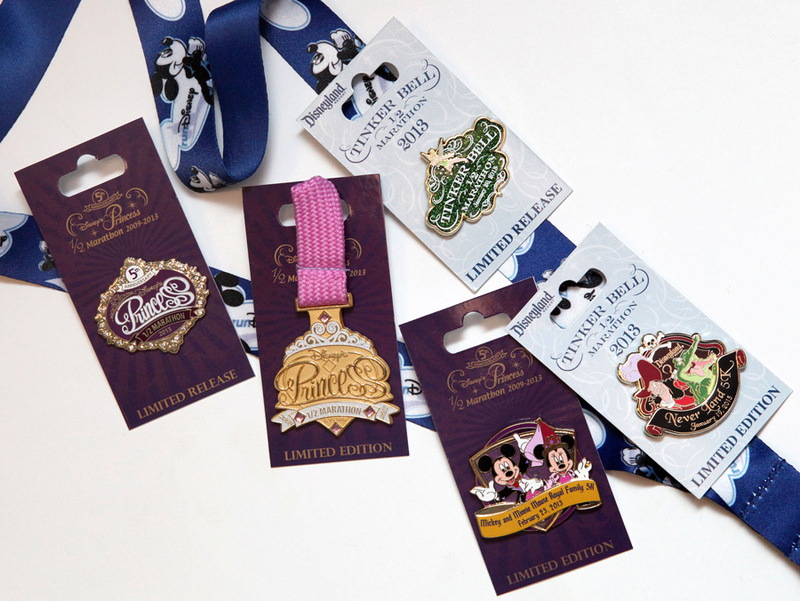 Fans attending Disney’s Princess Half Marathon Weekend in Florida on February 22-24, 2013, will find three pins including a limited release logo pin, a limited edition pin that resembles the medal for this race, and a limited edition pin for the Mickey and Minnie Mouse Royal Family 5K. 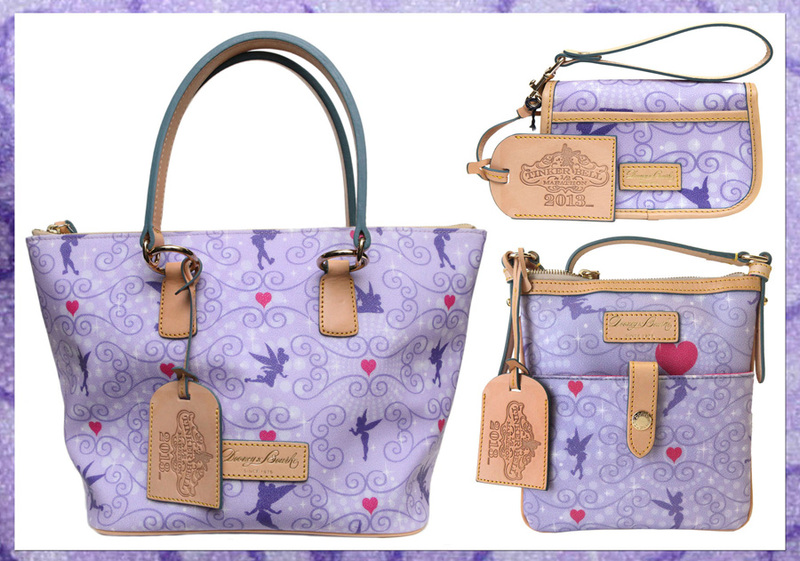 Like the Tinker Bell Half Marathon, three Dooney & Bourke handbags will also be released with a commemorative 2013 leather hangtag. I was happy to see that several readers enjoyed the Vinylmation mini-medals. 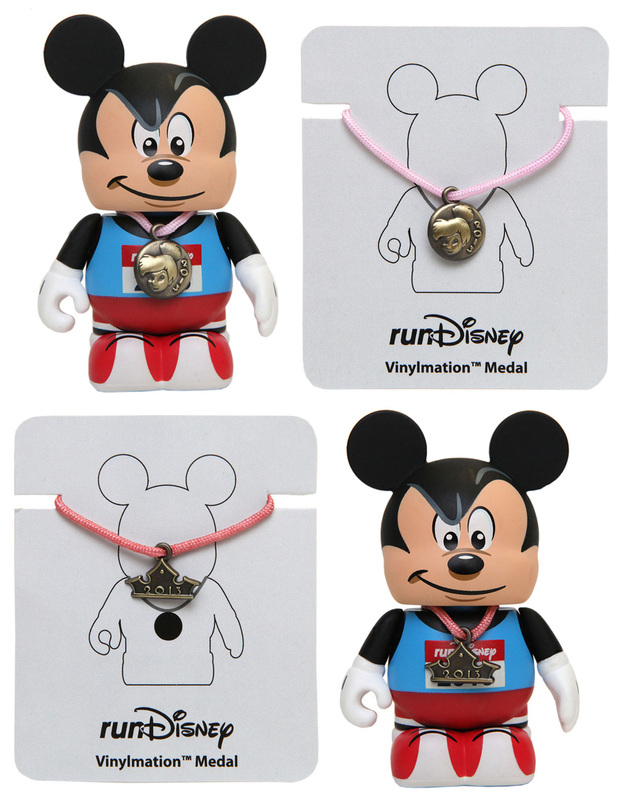 The Walt Disney World Marathon was the first time we offered a separate accessory item for a Vinylmation figure (I hope to see a figure decorated with all of the mini-medals one day). Look for the three-inch Mickey Mouse figure in California during the Tinker Bell Half Marathon along with a mini-medal accessory sold separately. In February, there will be a mini-medal for Disney’s Princess Half Marathon. 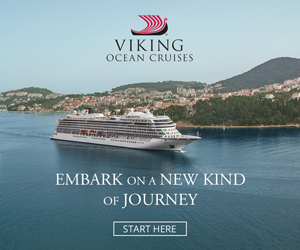 With all this talk of running, maybe I should start training for a future race.